It was only two weeks ago we told you it could be coming. Instagram is officially launching long-form video as part of new venture, IGTV. IGTV is more of a take on YouTube than higher quality video platforms like Netflix, featuring predominantly UGC-style videos. You can choose to watch IGTV content either within the main Instagram app or via the standalone IGTV app. The launch of the new platform means that users can finally break free from the 60-sec video duration limit. IGTV will host videos up to an hour long – although at first, some users (small and new accounts) will only get an extra 9 minutes of video upload time, taking the maximum duration up to 10 minutes. So this is great news right? Maybe. Maybe not. For everyday users (as opposed to pro creators) there’s a big difference between short snippets capturing exciting moments and videos of up to 60 minutes. IGTV and its longer-form video has the potential to cause a drop in quality and entertainment value, but on the other hand – depending how its used – we could see the opposite happen. Perhaps it will be a bit of both. Whatever the case, the update could potentially change the fabric of Instagram significantly. 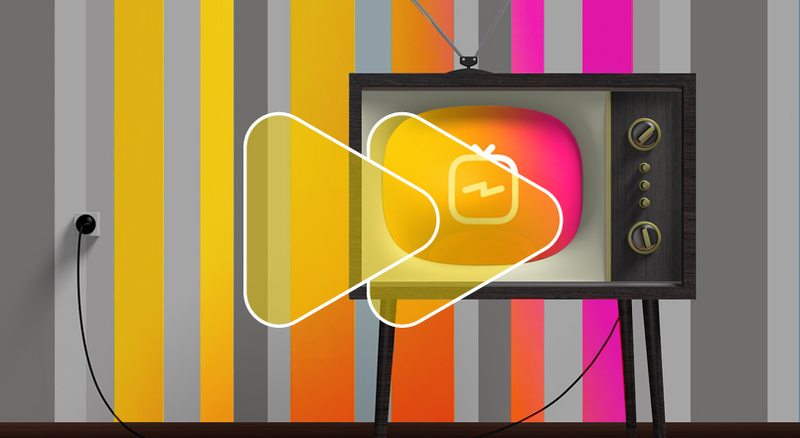 Here’s an article from The Next Web offering a slightly different angle on that debate – raising some interesting questions about whether vertical video is even a good format for longer videos. Sick of the phrase “data privacy”? The concept of passing personal information to businesses has always been a fairly hot topic, but in the wake of Facebook’s Cambridge Analytica scandal it seems everybody and their aunty has something to say about data privacy. Cue a bazillion articles, discussions etc. etc. But the fact is, people’s views on sharing data really matter to marketers. Effective advertising that benefits both businesses and consumers relies hugely on gathering data to create, segment and target connected audiences. Reassuringly, despite recent events causing a climate of fear and uncertainty around personal data, a new survey from Acxiom has shown that 58% of US consumers are considered “Data Pragmatists”. A data pragmatist is someone who will happily hand over their data on a case-by-case basis, depending on whether the service offered is worth the information requested. As you can see, US Millenials proved the most likely group to categorise themselves as data pragmatists, and really interestingly, also the most likely to categorise themselves as “Unconcerned” – meaning they have 0 worries about the collection and use of their data. Baby Boomers made up the largest proportion of “Data Fundamentalists”, a group unwilling to provide personal information even in return for service enhancement. It would be so valuable to know how attitudes towards data privacy differ across the world. Anyone fancy doing a casual global study? Facebook’s investment in video content shows no signs of slowing down. As well as IGTV (you read story #1, right?) 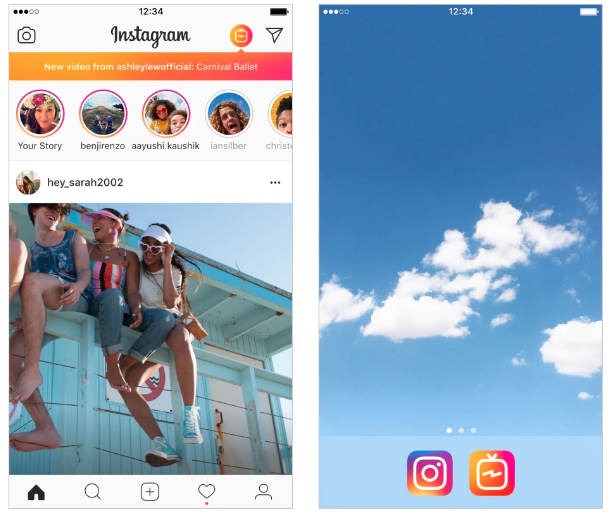 for its sister company Instagram, Facebook also announced autoplay videos for Messenger this week, on top of launching an application-only programme offering creators the chance to be featured in Facebook Watch (another stab at YouTube). As well as all of this, it confirmed that monetisation options such as ad breaks, paid fan subscriptions and brand partnership management will be rolling out to more creators. But wait, we’re still not done! Polls: Live and on-demand videos will now be able to feature live polls that users can interact with in real time (just like for Stories). 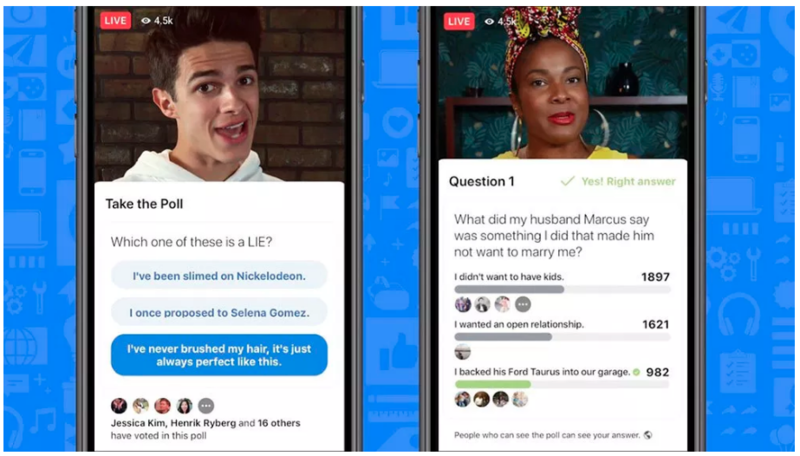 Gamification: only available for Live, Facebook is introducing a range of different ways creators can host small-scale games for their followers, such as quiz questions, challenges and more. These are more than just visual elements; the new tech will mean that people who answer a question incorrectly, for example, get automatically eliminated from the game. There’s also scope to get creative and customise the games to your brand. Note that the term “geek” was being used in an entirely positive way in that title. Anyone involved in spending any kind of money on social media platforms should 100% fall into the geek bracket. It basically means your strategy is smart. YouTube is introducing a new creative suite for AdWords that will help advertisers optimise their content by getting a better grasp on its performance, and the reasons behind it. Video experiments: will help you run cleanly segmented experiments on YouTube (at no extra cost aside from media investment) using head-to-head testing with brand lift measurement to asses the impact of creative on key metrics like awareness, consideration, purchase intent and more. Video creative analytics: designed to make the process of uncovering quantitative creative insights easier, this tool brings audience segmentation to retention reports. In layman’s terms, this means you’ll be able to see which demographic watched your video for the longest. In the future, you’ll also be able to tag certain visual elements to understand how they might be affecting retention. Director mix: lets you create many versions of a base video, using swappable elements to customise ads for the right audience and context. Video ad sequencing: tells your brand story over a series of ads set in a specific order to drive deeper engagement, awareness or consideration. Regular Digital Dash readers will know that Facebook is constantly testing. And it’s always great when somebody spots one of these tests in the wild and shares the news with fellow social folk. Sometimes, whispers of a potential new feature are of little interest. Other times, you know straight away that if this rolls out it’ll be super valuable. The latest test definitely falls into the latter category. 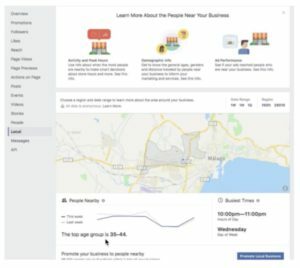 “Local page insights”, as mentioned by Facebook expert Jon Loomer (and spotted by one of his Power Hitters Club members), will give you demographic info – such as age and gender – about people near your stores during specific time periods. 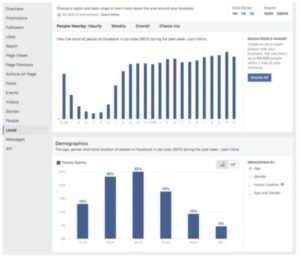 It will also hand you a snapshot of busy times near your store, and info on how much of the local crowd were hit with your ads. Apologies in advance for the screenshots below. They were taken from a Jon Loomer Power Hitters Elite webinar, hence the blurriness. But you can still just about get the gist of how the new feature looks. We’ll be over the moon if this tool rolls out, and I know a few (thousand) others who would be too. Any additional information you can use to better tailor your business model, strategy or communication style based on accurate audience insights is always worth its weight in gold. However, the information collected will depend heavily on how many users have their location services turned on and are logged in to the Facebook app at the time of visiting. Just something to bear in mind.